Put the ART in PART Y! *Holiday themed items are excluded from party packages. Holiday parties may be organized in advance, additional charge may or may not apply. 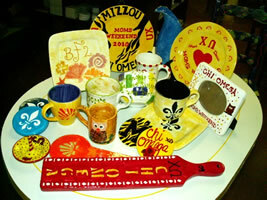 **Pay the difference +$2 for items painted over $12. ***Inventory changes daily, the only way to guarantee an item is to pre-order at least three weeks before the last business day before the party. Guest of honor receives additional custom finger print gift plate or signature plate: It's a keepsake that will last for generations to come! For children's groups Mud Room staff runs the party from start of painting to finish painting. Pay just for the cost of pottery! 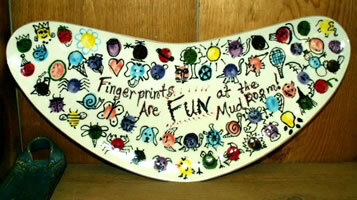 Custom Finger Print Gift Plate is available for reduced charge! ***For Group Rate: Must schedule in advance; deposit required to receive discounted rate. Group rate may not be used in combination with any other discounts. Group discounts are not available for groups booked before or after hours. 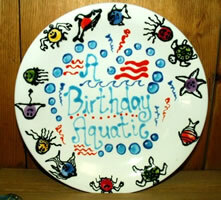 Earn your pottery badge with these fun projects! We also sell clay: $5 per pound, $30 for 10 pounds, $50 for 25 pounds (pre-order required for 25 pounds). Bisque firing is availabe for clay purchased from us: $15 for 1 shelf, pieces under 4 inches, $65 for full kiln load, claywork must be completely bone-dry before you bring it to us for firing, firing time will vary, an estimate is given at drop off, drop off of claywork must be arranged in advance to ensure we have the shelf space to hold it. Book your next party or event at The Mud Room and have a blast creating your next masterpiece! The Mud Room specializes in event planning for any occasion. Our party area can accommodate up to 20 adults. Counter space is available for snacks, drinks, business displays, or other decorations. Reserve the entire studio during non-open hours or The Mud Room can come to you with our Mobile Studio! Feel free to give us a call for more detailed information. Add a little twist to your group by meeting at The Mud Room. 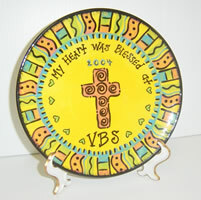 Enjoy your typical meeting while painting a piece of pottery or pick up a take-home package for your VBS group! Give yourself and your co-workers a break by scheduling an office party at The Mud Room. The stress-free, relaxed atmosphere is the perfect place to forget about deadlines. Everyone could personalize a business card holder, what a great team builder! 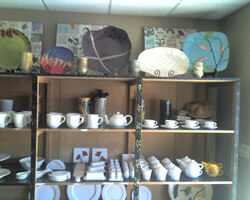 The Mud Room welcomes community organizations of every kind to have to opportunity to create a custom work of art. Feel free to inquire about how The Mud Room can accommodate the needs of your organization. See our fundraising page for creative ways to raise money for your group! The Mud Room is pleased to participate in the tradition of earning Scout Badges. 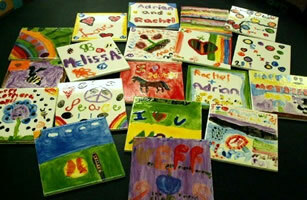 We offer classes that enable each member to receive her/his pottery merit badge. Call or email today for more specific information about bringing your scout troop to the Mud Room! You will be amazed by your troops’ creativity! Bring the family to The Mud Room and guarantee memories that will last a lifetime. There is no better way to remember quality family time than a hand-painted keepsake. 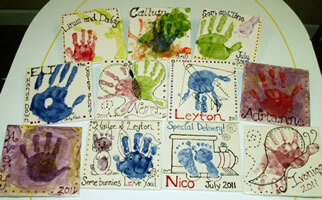 Have all the kids make a hand print tile! 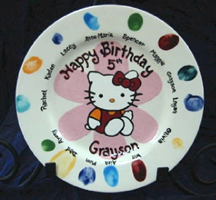 Make Grandma a special hand print platter! Having problems deciding where to hold your next corporate event? Why not The Mud Room!! Get away from the ordinary and create something unique! Get into the holiday season without the hustle and bustle. Invite friends and family to celebrate in style while creating one-of-a-kind gifts for those special people on your holiday list. All functional dinnerware can be used in the microwave, oven, and dishwasher! Have the Mud Room come to your house with our Mobile Studio and every sister can paint a jewelry box for their room! Customize your pieces with your sorority emblem! Or spice up your Mom’s weekend with some quality creative time. You can each make something for each other!